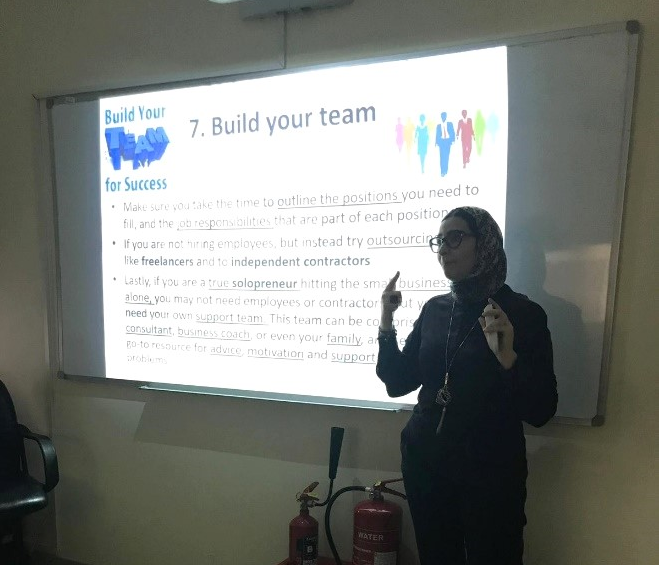 Industrial Training, Alumni and Career Unit organized a seminar entitled A New Business Start-Up Seminar. This seminar is offered to students to introduce them to the professional practices in the domain of interior design including elaborating professional contracts and estimated project cost. Also, this seminar explores the standards regulations when to start a new design firm and the possible challenges and risks that any entrepreneurial can face when he/she start thinking of having his own design office. The purpose of this seminar is to familiarize the student with the market challenges and the potential constraints that he can face to start his own firm.